Everyone should be able to speak for themselves, rather than having others speak for them. In I AM we look at how Jesus described himself in 7 statements from the Book of John, all beginning with . . . I AM. We know that going to a church for the first time can be daunting, and you probably have a lot of questions. You can find some answers here! 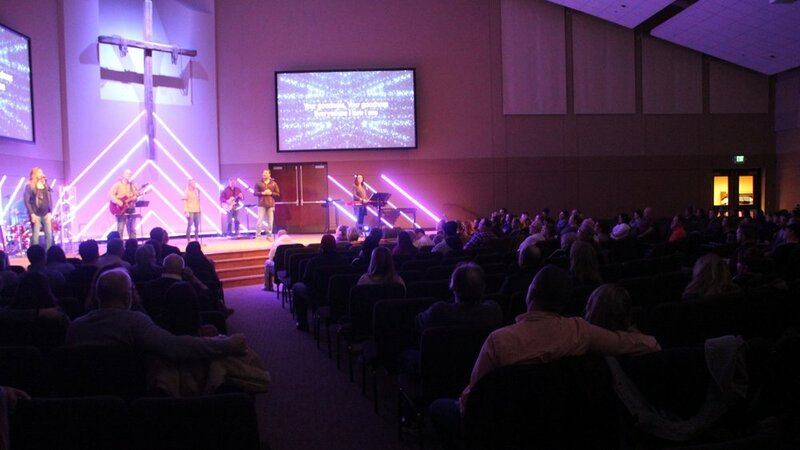 Our services are informal but exciting, with engaging contemporary worship and services dedicated to leading you in a growing relationship with Jesus. We have a fantastic Kid’s Ministry, amazing teaching, and are committed to being a church family for your family! There’s no dress code, so come as you are! If you’re new to Cornerstone, or want to learn who we are and what we believe, our About page is a great place to start. You can learn a lot about us there, but nothing will tell you as much about us as experiencing our services firsthand! Try us out at either of our sites in Litchfield or Cokato, and see how God is using Cornerstone to make a change in your community and around the world! Multiplying Sites: Launch 87 sites in rural counties. This reflects the number of counties in Minnesota. We will start with but will not be limited to Minnesota counties. Multiplying Wisdom: Resource rural churches through Coaching, Cohort leadership groups and the Cornerstone Collaborative – a global network of churches in rural communities. Multiplying Leaders – Mobilize, train and send out fully prepared staff to serve in rural churches. Each year we gather all volunteers to celebrate what God has done through us the past year and receive updated training for the coming year. Brunch and childcare provided. Reserve your spot online.